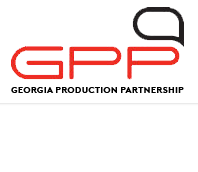 As Georgia’s booming film industry continues to break records; Georgia Production Partnership announces the South Georgia Regional Meeting, to showcase the opportunity the film industry brings to all of Georgia. The GPP Regional Meeting sponsored by the Georgia Film Office, a division of the Georgia Department of Economic Development, is being presented in cooperation with the Valdosta State University Film and Video Society. This third and final GPP Regional meeting of 2018 will take place at Valdosta State University on Thursday, October 11th from 1:30-2: 30 p.m., in the VSU Student Union Theatre, (1500 N. Patterson St., Valdosta, Georgia 31698). The meeting will feature Mike Riley, Location Manager of the hit AMC series The Walking Dead, who will be taking our audience through the details of what really brings interest from entertainment projects in choosing specific locations. Mike is a seasoned Location Manager. Not only has he done a masterful job in finding shooting locations for the Walking Dead since 2010, he’s also been the Location Manager for such hit films as Sweet Home Alabama, Oh Brother, Where Art Thou?, Bobby Jones: Stroke of Genius, Diary of a Mad Black Woman, Warm Springs, and Stomp the Yard. Also on the panel will be Craig Dominey, Manager of the Camera Ready Georgia program, who’ll be sharing information about Georgia’s unique and successful “Camera Ready “program. This groundbreaking initiative was started in October 2010 to bring film and television production to communities across the state by offering production companies easier, faster and better access to county production resources and location information. Numerous Georgia counties have enjoyed the economic impact of film and television production through the Camera Ready program, including local hires, tourism, hotel stays and purchases of goods and services. Currently, all 159 Georgia counties are Camera Ready certified by the Georgia Film Office. The Executive Director of The Georgia Film Academy (GFA), Jeffrey Stepakoff, will also be a featured panelist. Jeffrey will talk about how the GFA is preparing our student workforce for entertainment jobs, in addition to educating local communities toward efficient practices to attract entertainment projects to their areas. The Georgia Film Academy is an example of forward-thinking infrastructure in our state – a collaborative effort of the University System of Georgia and Technical College System of Georgia supporting workforce needs of the film and digital entertainment industries. The academy certifies workforce ready employees in needed areas, connects students and prospective employees with employers, and offers a unique capstone experience for top students that will provide them with a path to employment in Georgia. Pre-registration for the meeting is required. The cost is $10 for all non-GPP members (Free to GPP members). Deadline to register is Sunday, October 7th at midnight. Attendees can register at bit.ly/SGARegional.